A recent addition to a home set deep in a Maryland woodland required a way to unite new and old doorways to the back yard. 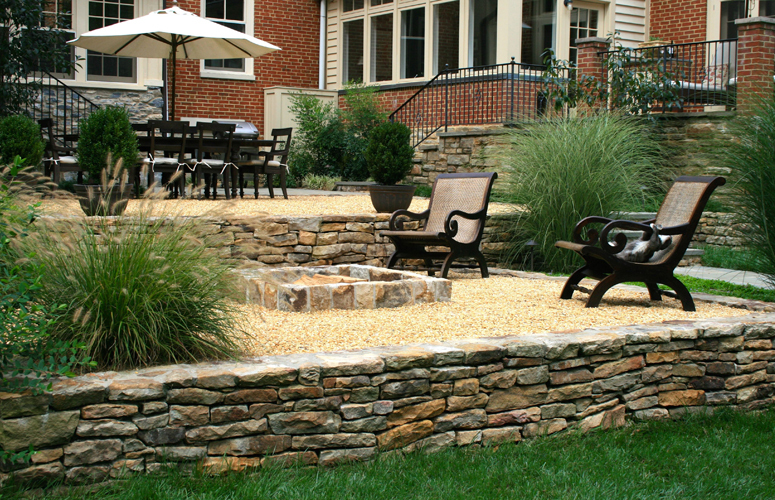 Terraces made with dry stone walls and pervious pea gravel were the solution. Now the four generation family comes together for dining and evenings around the fire pit. When we returned for a second phase of design, we added a 50’ lap pool aligned with the addition that reached toward the quiet woods. 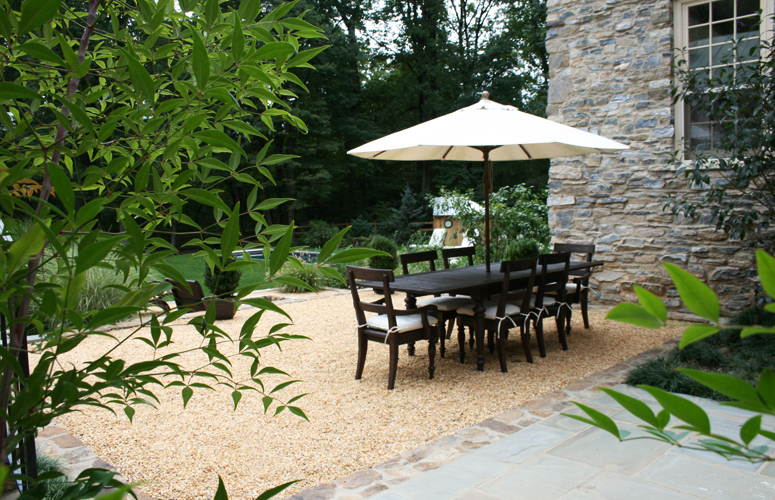 Except for a small stone deck with planted joints, lawn borders the pool emphasizing the clean geometry. Throughout this country garden, a restrained plant palette mixes natives with perennials and grasses.